Future and current educators interested in working with gifted children are likely to complete a specific degree needed to become a gifted resource teacher. Teaching provides many opportunities for specializing in a specific area, often requiring additional education, training, and certifications. One of the tasks a gifted resource educator will manage is the assessment and identification of gifted and talented students, using various quantitative and qualitative measurements. Educators in this position will also closely work with districts, administrators, and other resources to develop curriculum for gifted and talented programs, leading the program in its development, modification, and implementation. In addition to these responsibilities, gifted resource educators also teach in gifted and talented programs. This requires creation of lesson plans, facilitation, instruction, and assessment. To ensure that these skills meet with the latest research and techniques through continued professional development. The various tasks and responsibilities in this area of education require the acquisition of many different types of skills. Some of the skills helpful for entering into this specialization of education include research, analysis, communication, classroom management, and presentation. Additional information on teaching in a gifted resource classroom can be found at the National Association for Gifted Children website. To begin the path to teaching in a gifted and talented classroom, future educators will complete an appropriate bachelor’s level degree for education at either the primary or secondary level. In these programs, the foundation for the skills and knowledge needed to effectively lead classrooms is developed. Common courses in an education undergraduate degree program include classroom management, methods in teaching, child and adolescent development, and diversification of instruction. Additional course work is often further concentrate on a particular area of education, including options to complete classes in working with gifted children. Classroom observation, field work, and student teaching are also completed at the undergraduate level. For most positions in gifted and talented classrooms, educators will be required to have a master’s degree. 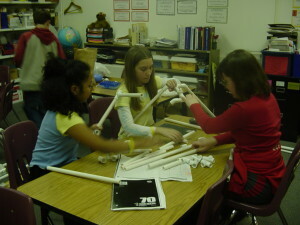 Advanced course work includes psychology of gifted children, curriculum design in gifted programs, and instructional techniques for gifted and talented learning. Graduate students will also complete field work in gifted and talented programs. Gifted learning programs also often offer concentrations in particular areas, including curriculum design, multimedia literacy, and learning technology. After completing the educational requirements for an individual state or school district, prospective gifted resource teachers will complete the testing and completion of qualifications for teaching certification and licensing. Additionally, most positions will require completion of the gifted and talented teaching endorsement offered in most states. Requirements for qualifying for this endorsement are typically evaluated based on course work completed, training and classroom experience, and professional development. Building skills and gaining knowledge in facilitating and instructing specifically for gifted children are necessary in order to effectively deliver material and help gifted students meet their full potential. Completing the undergraduate degree and graduate degree needed to become a gifted resource teacher is the first step in entering into a challenging and rewarding field of education.